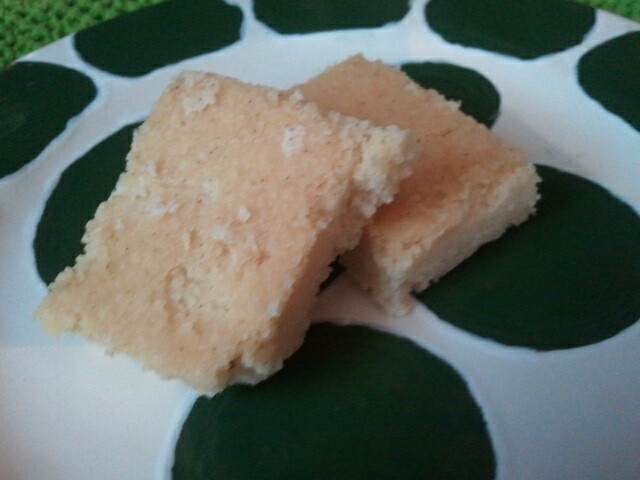 I have found a dynamite recipe for shortbread. Most shortbread is packed full of butter and therefore high in saturated fat. This shortbread uses half the butter and replaces the other half with canola oil which is rich in heart-healthy unsaturated fat. And to make it that much more wonderful, each serving is only 101 calories! You can find it in the Cooking Light Mix & Match Low-Calorie Cookbook on page 278 or go online using the link I have provided above. This shortbread has the same flaky texture and lightness you look for in any good shortbread. The vanilla bean flavor adds a new dimension. I have never scraped out the seeds of a vanilla bean before. I was amazed at how small and plentiful they were. They provide a richness to the shortbread, and an aroma that is very appealing. They have been a hit with everyone I have shared them with. A definite repeat!